Not sure what's about the Stars, but I'm just so obsessed with my star dress. It's so fun, romantic, flowy and soft. This is my first Grlfrnd denim jacket. Love the awesome print and the great quality. Plus it's currently on sale. Highly recommend to you girls. 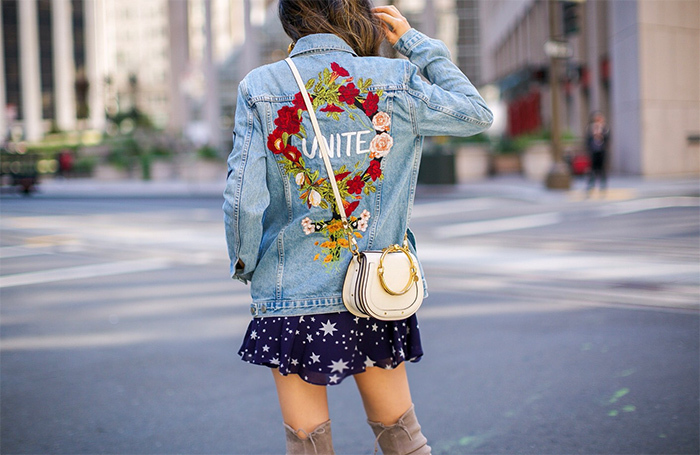 Denim jacket is an essential piece to transition into Fall and you can totally wear it with all your summer dresses. BTW, TORY BURCH is currently having an up to 30% off sale with code FALL.